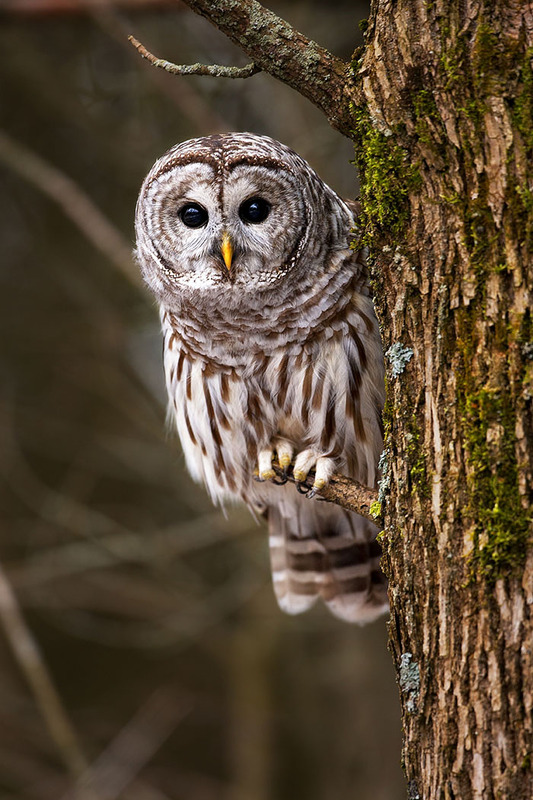 The Barred Owl (Strix varia), also commonly known as a Hoot Owl, is a nocturnal creature by nature, but has no problem hunting before night fall. They will often perch on a tree branch and wait for prey to pass by. Their diet includes small mammals, amphibians and some insects, and are attracted to light because of the insects that gather around it. Taken at Presqu'ile Provincial Park, Ontario, this curious little owl was caught peeking out from among the shadows of a thick forest of Jack Pine trees.